SmartVS is an intelligent search, locate, and play system for video. We have developed our unique SmartVS video technology to help Solid Edge users like you find and access the information you require as quickly as possible. On-line video has revolutionised our education processes and methods. There are a plethora of videos on YouTube and so many other hosting platforms and websites. There are videos of webinars, videos of seminars and classroom training sessions, screen capture videos, instructional videos, bespoke video content... the list is endless. ...But there is one major problem. Finding the information you need. Not only the actual video itself, but the location within that video. Watched hours of unnecessary video content to find what you need. Had to manually index videos by noting useful locations, and using some external document or note system to keep a record of that. ...and repeated those steps time and time again. So what should be a useful tool turns into a hindrance. Imagine if you had access to an invaluable reference book but it didn’t have an index. Would you be prepared to read the book from cover to cover each time you wanted to find some information? So why is it you’re expected to do that with video. 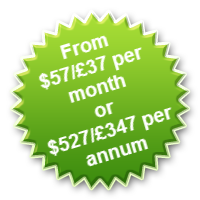 Just imagine if you had access to a system that could direct you to exactly what you want. Not only the actual Solid Edge video itself, but the location within that video too. That is exactly what our SmartVS technology does. It is an intelligent search, locate, and play system for video. 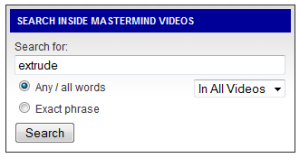 Others have tried and continue to index videos by using the on-screen dialogue, either the spoken word or the subtitles. Whilst this technique may be suitable for finding a specific scene in a movie it is not suited to technical and instructional videos. How would such a search for “waste material” distinguish between “waste material” and “don’t waste material”... and also how would it understand the context of “waste material”? Is that the product that is wasted or the process of wasting? Those techniques just don’t work for educational or instructional videos. You’re just presented with lots of irrelevant results. ...But the fact remains that most publishers of video content aren’t providing consumers with an index of any sort anyway. This particularly applies to videos about Solid Edge. Individuals, bloggers and Solid Edge resellers are flooding the on-line space with video content but with no regard for how a user like you can find and access that content. The more content there is the worse this problem becomes. You lose more and more of your valuable time trying to find the content you require as you sift through hours and hours of irrelevant video. A needle in a haystack is a figure of speech used to refer to something that is difficult to locate in a much larger space. When a needle is in a handful of straw it is easy to find ...but when it’s in a haystack it’s highly unlikely you’ll ever find it. You’ll just waste your time looking. ...and so it has been with videos for Solid Edge. You can’t rely on search engines like Google, Bing, Yahoo, YouTube etc. They can’t see inside or index videos. Their search results are based upon text content or tags assigned by those who control the video content. You might strike lucky and get pointed to a valid video but then you still have to trawl through it to find the relevant content. Solid Mastermind with SmartVS technology is the exception. SmartVS took over six months of research and development to perfect just for the benefit of Solid Mastermind members. The technology is complex, based on several patented and patent pending methods and techniques, but it’s so easy to use. Now you can be directed to relevant content within our on-line video library quickly and painlessly. 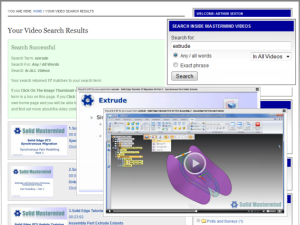 Providing you with the most advanced on-line video training and video help system for Solid Edge. Solid Mastermind with SmartVS will revolutionise how you learn, hone your skills, access help, and stay current with Solid Edge.